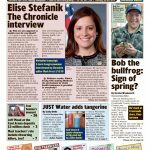 Prime Time Seniors issue | Elise Stefanik interview. 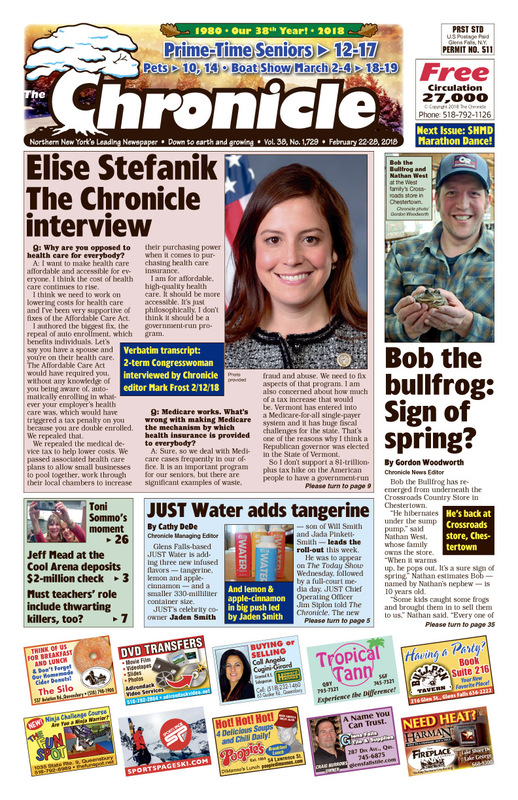 Bob the Bullfrog reappears at Crossroads store in Chestertown. JUST Water adds flavors. Cool Arena gets $2-million check. Codie Bascue at the Olympics. Cameron Tessier remembered. Boat Show coming to the Dome! Lots of real estate listings… Find your dream home! Concerts, comedy, shows… The Chronicle always has the region’s best Arts & Entertainment section!